Elegant mottled grey hat, 100% tweed wool of Donegal. 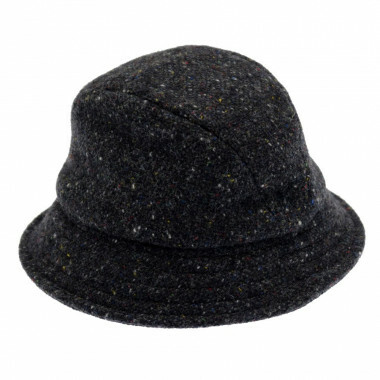 This sleek design hat fits easily with any outfit, its comfortable tweed wool will keep you warm during winter ! This hat as well as each Hanna Hats cap and hat is entirely handcrafted, according to traditional manufacturing methods of Donegal. All the articles are made and assembled by hand in their factory in Donegal. The company used and knit Donegal tweed fabric. Every hat is unique and special, they are carefully worked by hand. All of the Hanna Hats products will keep you warm and are resistant to humidity.